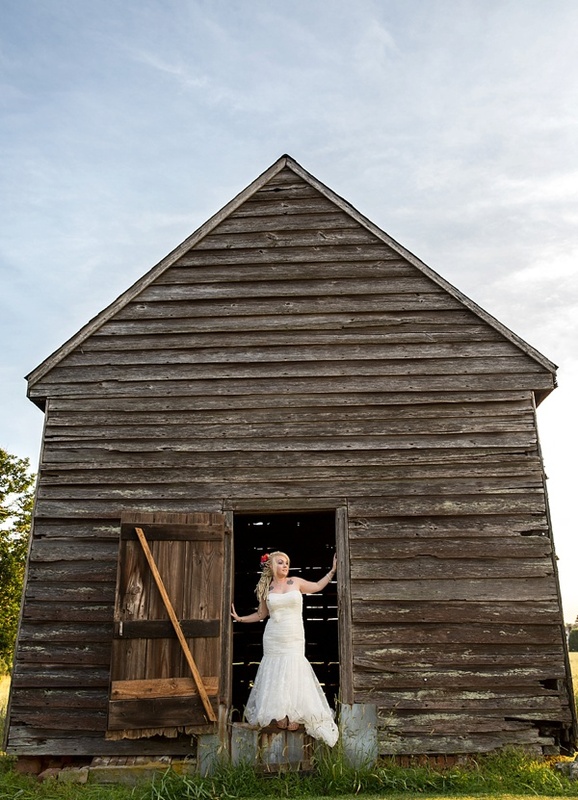 One of our favorite things about bridal sessions is when brides incorporate heritage into their session. 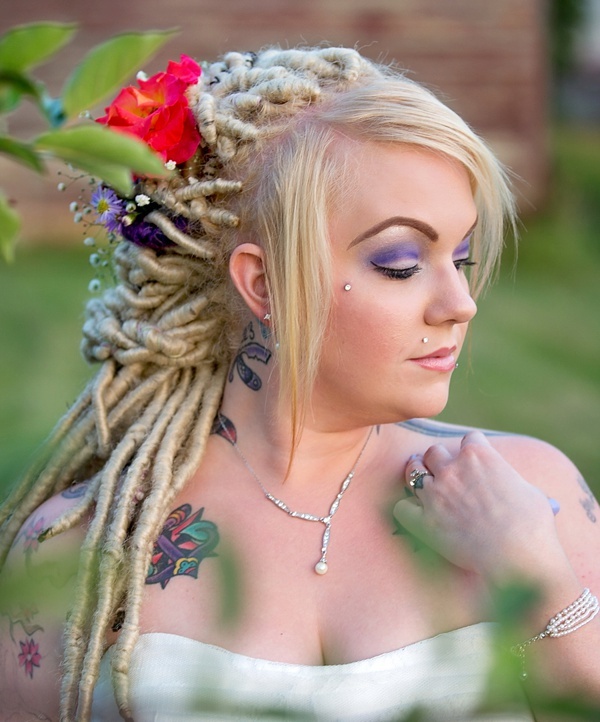 This beautiful (and totally rad alternative!) 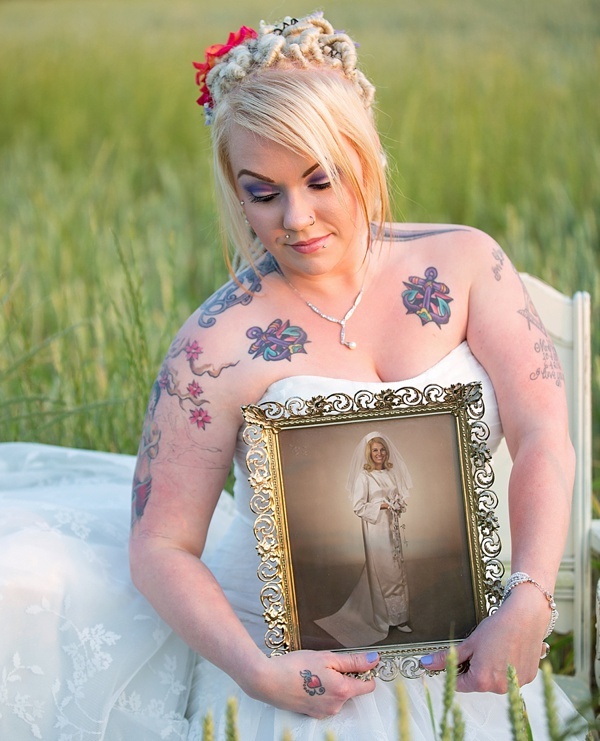 bride, Shea, unfortunately lost her mother a few years ago, so she decided to honor her memory by holding her Mom's own bridal portrait which you'll see below. 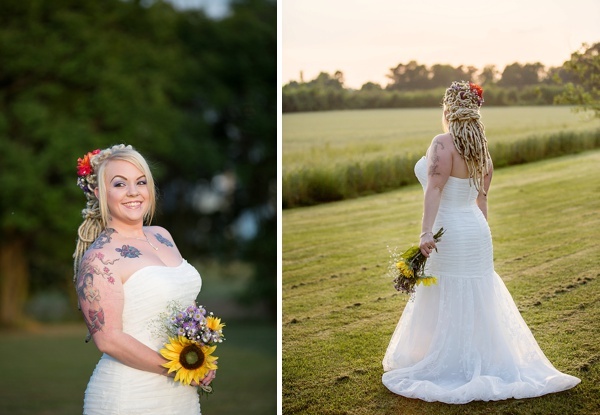 Nothing tugs the heart strings more! 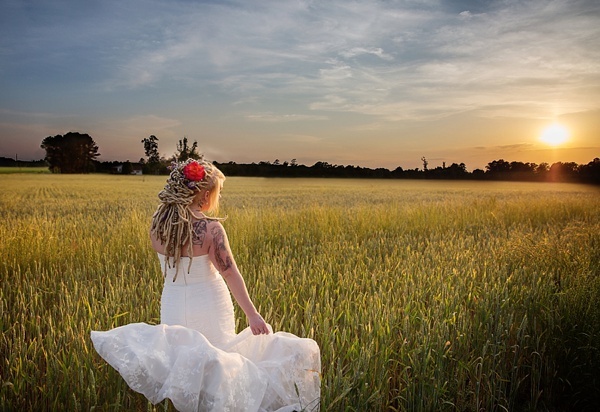 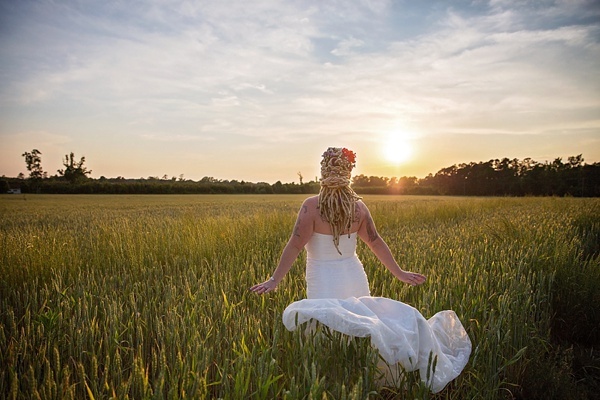 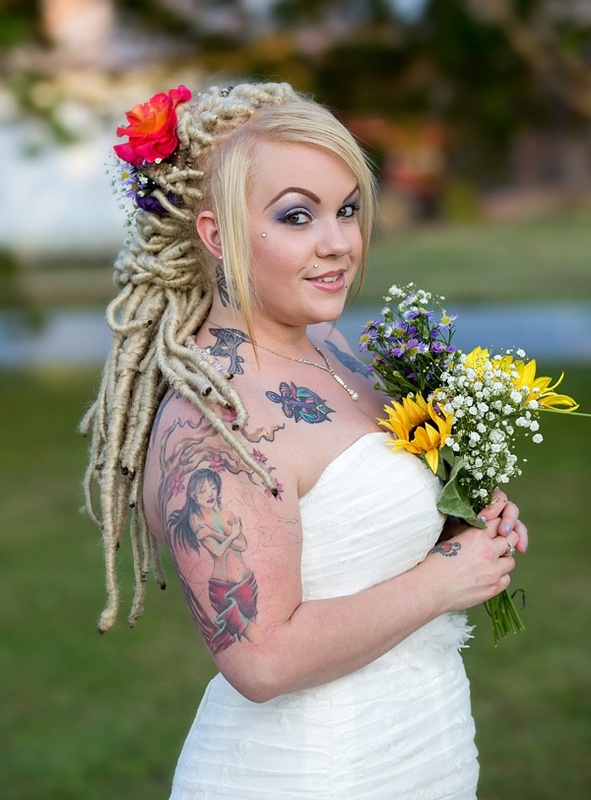 In a classic mermaid style wedding gown juxtaposed with her colorful tattoos and bridal dreadlocks, Shea is a gorgeous paragon of a modern day bride spinning tradition into her own unique style... which as a professional hair stylist by day comes naturally to her! 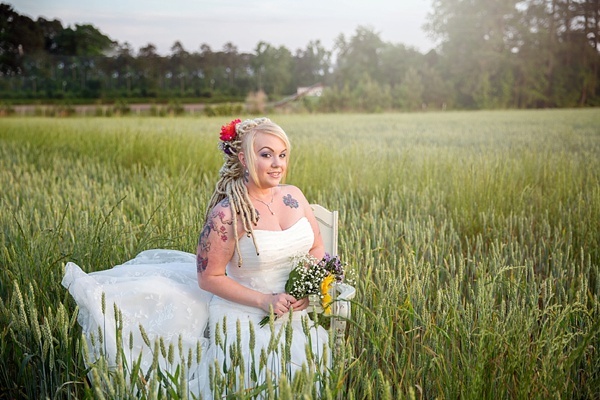 Since she and her fiancé, Allen, will be having a rustic-inspired wedding at her future in-laws' family farm, it was only perfect to have her bridal session with Angel Eyes Photography there, too!